Located in Central West region of New South Wales. Canowindra is home to Federation Fotos. Local activities include bowls, golf, swimming (pool), tennis, squash and fishing. 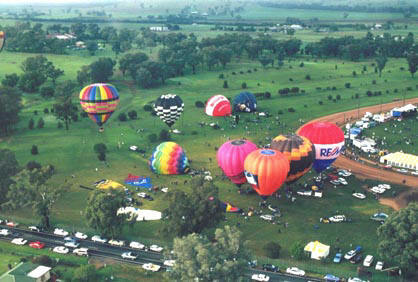 Hot Air ballooning, Vineyards, Ben Hall Memorial located downstream of the town on the Southern Bank of the Belubula river and visit the Heritage classified Main Street. Do you want to know anything about Canowindra, drop us an email (this will help us put the information you, our visitors would like to know). These pages are evolving, and are a work in progress. So be sure to visit regularly.